Tuck these cute and clever Christmas Waterballs in a stocking as a unique stuffer this year, or tuck them inside a small bag for a gift that will please a broad range of people. Each globe measures around 4.5 cm wide by 6cm in height. This means that this waterball won’t take up too much room, yet will serve as a reminder of this very festive time of year. Enjoy the chrome-like finish on the tiny base, and inside the waterglobe, watch the snow gently fall over the highlighted character within. It could be a tiny teddy bear, a snowman, Santa, or a jolly penguin that sits inside each waterball- these are adored by many and are a gift solution that will be cherished and appreciated. Don’t forget to keep a couple for yourself! 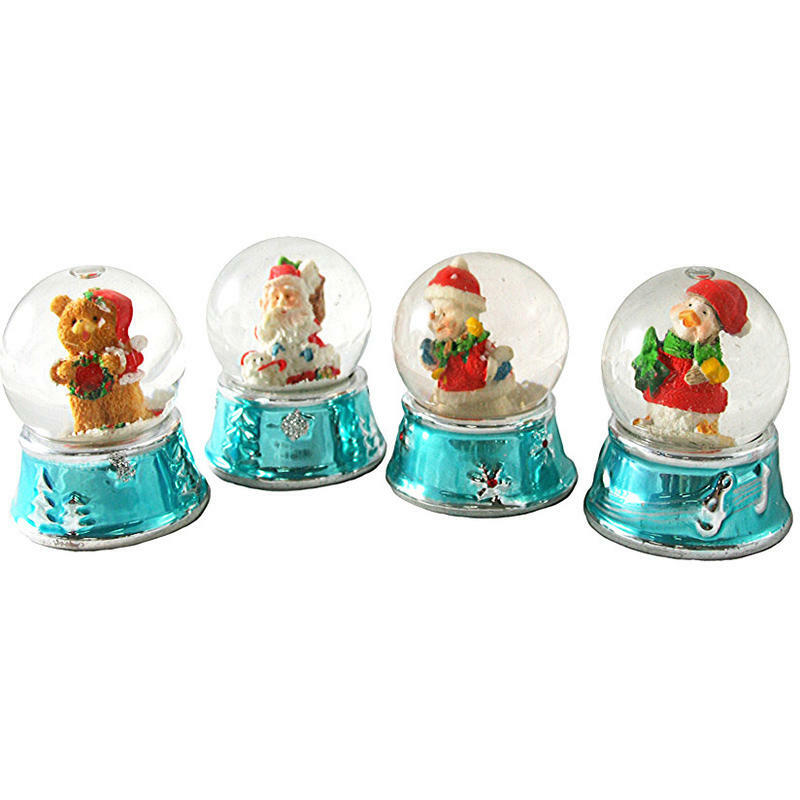 Place these by themselves or in a grouping of waterballs for a fun and cheery touch this Christmas.